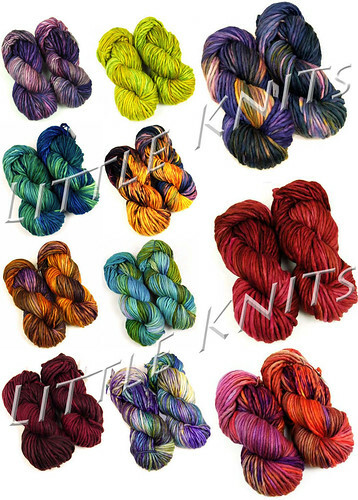 The newest sale in the 12 days of Little Sales is Malabrigo Rasta! This yarn is fabulous. Rasta is a super bulky 100% merino single ply, with a slight twist. It’s a little like Malabrigo Worsted’s (very) big sister. Recommended gauge is 2-2.5 Stitches to an inch on U.S. size 13-17 needles, and it has approximately 90 yards in each 150 gram hank. Rasta comes in some amazing colors and it is soft soft soft. My favorite of the moment is probably Baya Electrica. I think this color would look amazing as a Marian. 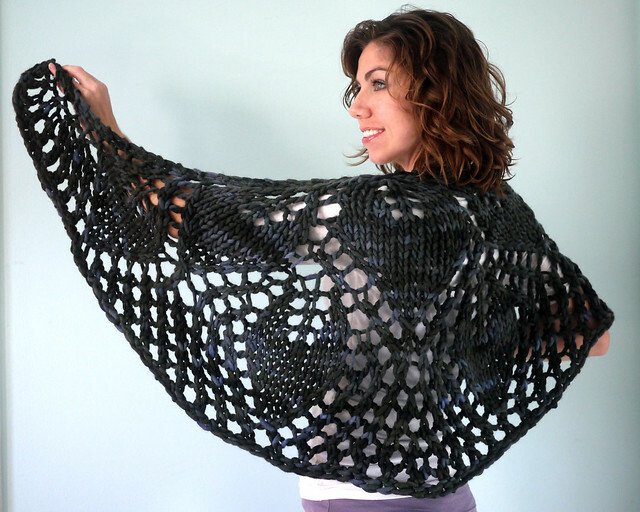 This cowl is a free pattern available on Ravelry by Jane Richmond. The Ovate shawl was designed originally with Rasta in mind. The designer’s photos show it in Pearl Ten (one of my all time favorite greys!). Every time I go to Little Knits I’m so tempted by the Rasta. I’ve wanted to buy some forever, and with a sale like this I don’t know if I’ll be able to resist! That Baya Electrica (and Pearl Ten, and Glazed Carrot, and Grassland, and Plomo…) call to me!